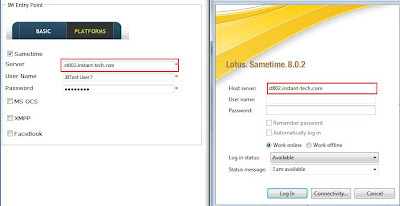 Go to the website where Queue Manager is located and use your account information to gain access to the website. Generally, this is the first thing the website will show you. Optional: add a description and define a type. It is very important that this information is correct, otherwise this Entry Point will never go online. 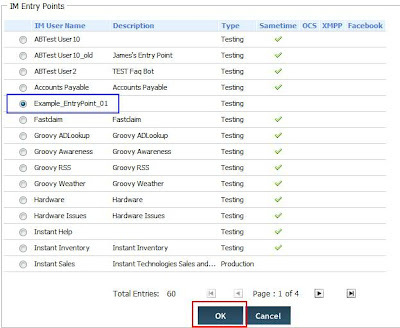 After the browser refreshes, go back to “Admin - Entry Points” and confirm that your new entry point (Blue Box) is present in the “Entry Points table”. If you ever need to edit your Entry Point (Blue Box), you can select the check-box next to it and click “Edit IM Entry Point” (Green Box). 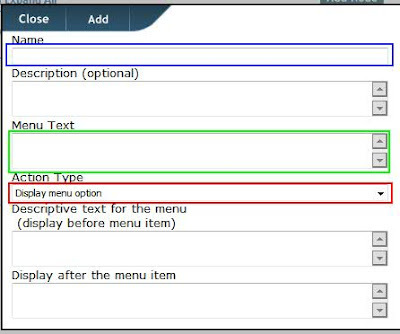 Likewise you can delete it by selecting the check-box and clicking “Delete IM Entry Point(s)” (Red Box). 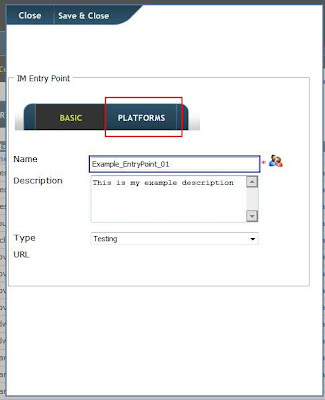 It is Possible to delete multiple Entry Points if multiple Entry Points are selected. Input a name that will be unique to this Interview. (Blue Box)Optional: add a description and define a type. If you ever need to edit your Interview (Blue Box), you can select the check-box next to it and click “Edit Interview” (Green Box). 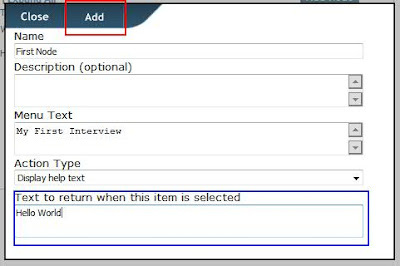 Likewise you can delete it by selecting the check-box and clicking “Delete Interview” (Red Box). 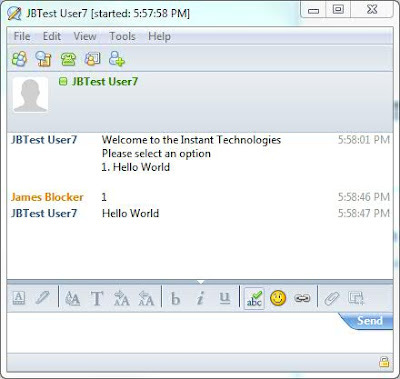 Do you remember the User-name that you gave the Entry Point you created? That is what you will be looking for in this table. 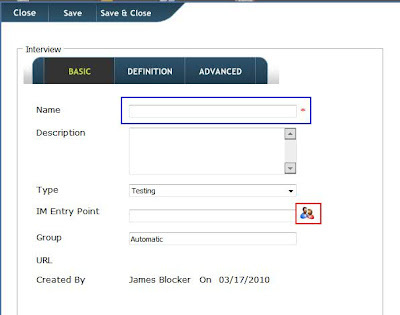 Search for the Entry Point's User-name in the Application List. If it is not listed, it has not been started. Click on the “Rescan” button (Red Box) for the server to search for new Interviews. If all the information is correct, the new Interview will go online using the account defined by the Entry Point. You may have to wait a few moments for the server to find and start everything, but it will show up if everything has been correctly input. 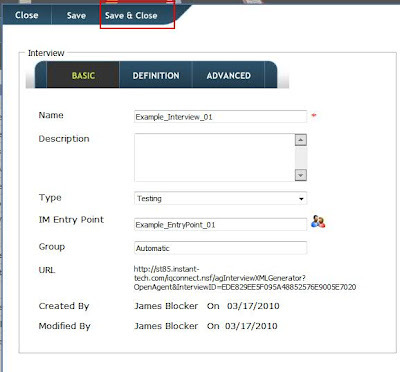 Alternately, you can use the Sametime Buddy List to see if the Interview is online or not. 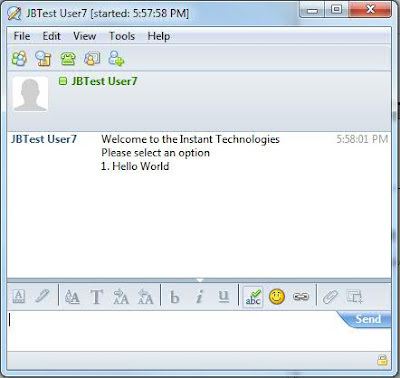 If it is online, You will see that the User is online. 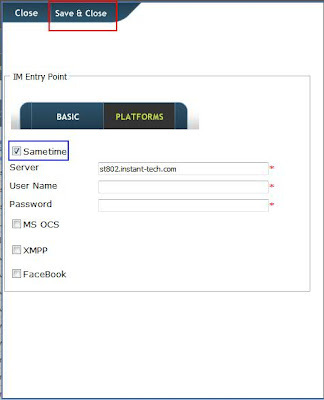 Note – If you are currently logged in as the user that the Entry Point is trying to use, the Bot will never go online. 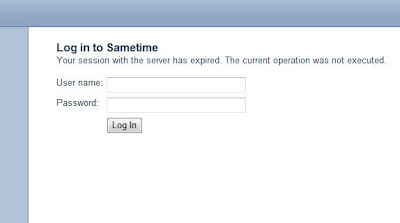 You will have to use an alternate account to monitor it's online status. If you have not added the Entry Point's account to your current account's buddy list, go ahead and add them. This is what it should reply with. Congratulations! You have just made your first interview!